Never lose picks again! 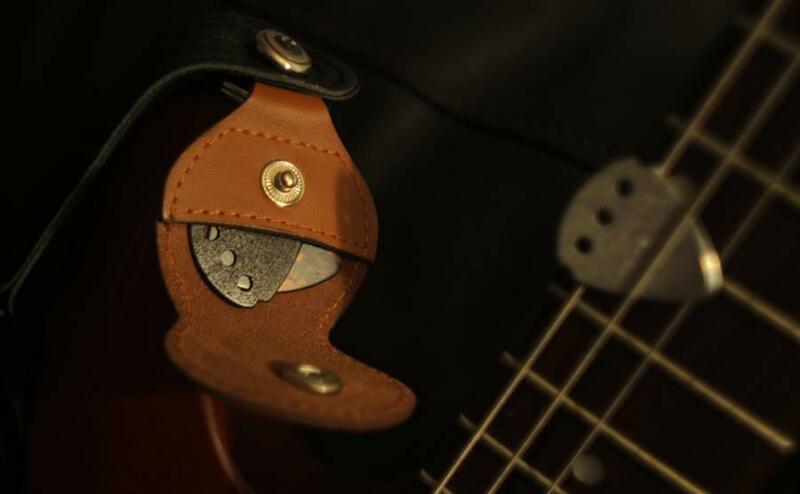 The classy leather guitar pick holder makes the perfect gift for any guitar lovers. 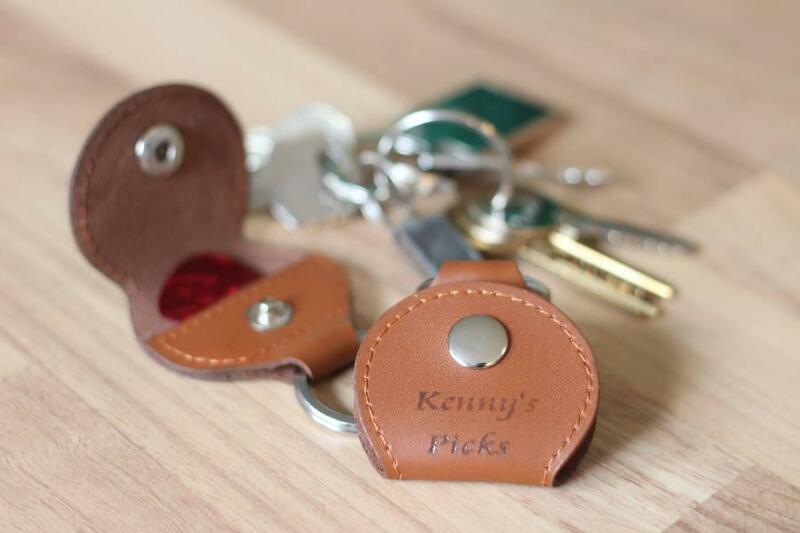 Made from leather, the pick holder can hold up to 6 picks. 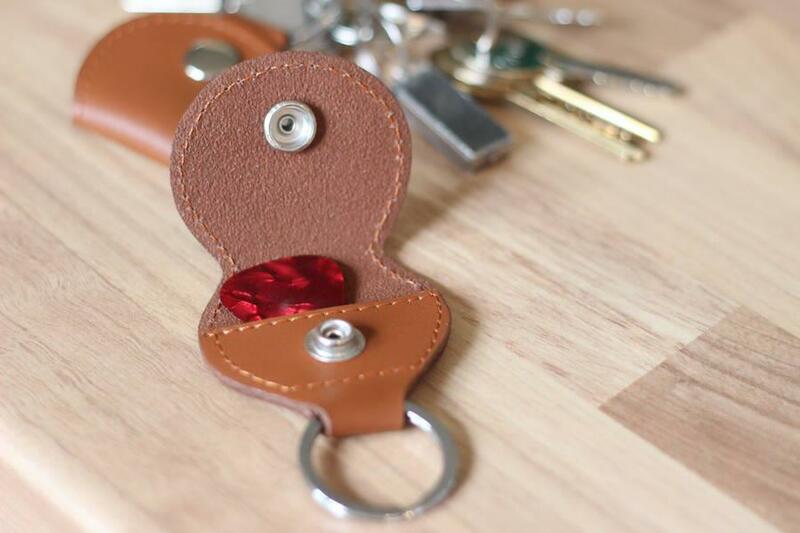 It comes with a key ring allowing it to be attached to keys to be taken around where ever you go. 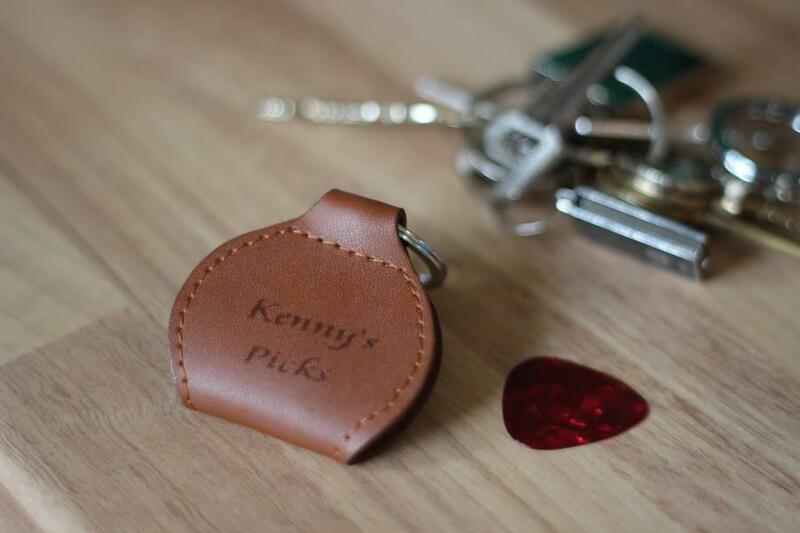 Attach it to the guitar case so that you will always have access to picks where ever your guitar goes. 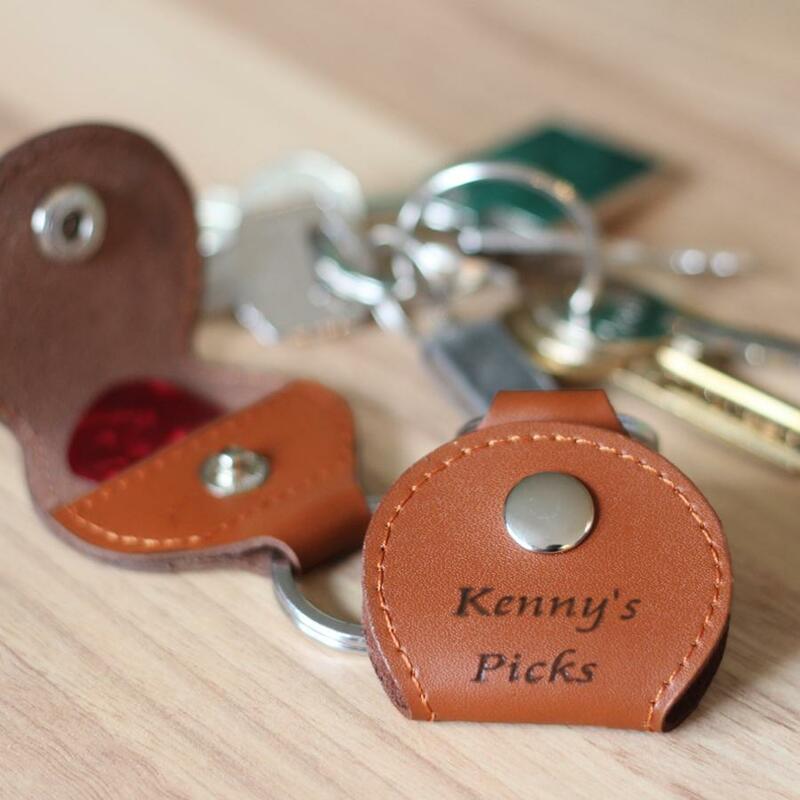 The holder can be personalised front or back or both. Why are we unable to read reviews on your site?